Whether you are purchasing a new home, your first home, investment property or refinancing your existing home or investment loan for a better rate or to access your equity EasySettle can help. EasySettle Finance facilitates a wide range of competitive residential and investment mortgage products through our network of accredited mortgage lenders, banks and finance professionals. EasySettle Finance can tailor a wide variety of choices that enable you to choose the most suitable finance option for your needs. At EasySettle you can borrow up to 90% of the value of your property (excluding LoDoc Loans). A Terms Loan is usually structured to suit your needs and can be ideal for first home buyers to the more experienced property investors. With no ongoing fees, full internet banking and redraw, this product offers the essentials of a term loan with no fuss. Let us beat the bank and show you a true borrowing alternative. A Line of Credit product is tailored to your needs to allow you to take a flexible approach to your finances. The interest on the amount you owe is calculated on a daily basis, so by withdrawing money only when necessary you’ll pay less interest. It’s a great way to make your money work harder and pay off your loan sooner. Work smarter and make your money work harder. 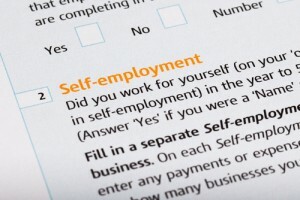 Self employed applicants can borrow between 60 to 80% of the value of their property by signing a declaration of income and providing evidence of income. Let us tailor a Lo Doc loan to suit your needs today. Build your dream home today. Make the construction of your dream home a reality with a Construction Loan from EasySettle Finance. When the home is complete you also have the option of changing your loan to another product, for example a Line of Credit Loan. A construction loan has the same features as the terms loan however rather than drawing down the entire loan amount at settlement, the loan is drawn down in stages with each draw down usually coinciding with the number of key construction stages. Borrowers are only required to pay interest on the amount that is drawn down. The global financial crisis of 2008 has received a lot of attention as the worldwide community felt the aftershocks. The resourced boom has largely been credited with sheltering the Australian economy from the impacts of global recession. However, there are a number of obstacles on Australia’s financial horizon due to our financial ties with Europe as the debt crisis continues. With the continuing downturn of the stock market, cashed up investors are understandably hesitant to turn to the stock market for sustainable returns in the short to mid term. Many investors may not have considered that private lending at this time presents a viable alternative to the stock market. Historically, private lending arrangements have often been risky. But with global uncertainty over fiscal policy in Europe and a shift towards more local forms of investment, private lending is looking much more appealing. The key factor that make private lending desirable in today’s climate include the need to make fast and stable returns on the money you are lending in the short to medium term. For some investors, this may represent a break from the volatility of today’s stock market; for others, it represents a long-term opportunity as part of a portfolio of investments. Private lending gives you flexible options ensuring a high short term return with as much risk mitigation and legal protection as possible. Your money is secured via a mortgage over the property; the same legal process used by the banks. Now’s the time to try investment in private mortgages! With forecasts of a possible interest rate rise on the horizon, it is a good time to consider private lending as you can enjoy the benefits that come with increased interest rates. This in tandem with the strengthening Australian Dollar shows very strong potential for private lending. Investing in local growth and industry has always been far more economically beneficial for the Australian economy than an offshore investment. Private lending gives you the opportunity to do this in addition to providing a shelter from the European debt crisis. With flexible lending options and personalized service, EasySettle Finance can show you how private lending can be so easy! If you’re having a hard time getting a loan from traditional money lenders such as banks, then you may want to consider using private lenders. Private lenders do not have to follow all the same rules and regulations imposed by the government or other bodies as traditional money lenders. Private lenders can choose who they do business with. This makes private lenders a great option for entrepreneurs and investors because all you have to do to get financing for your business is convince the private lender that it’s a good investment. Using private lending also results in faster closings, less paperwork, and involves more of a human element instead of just numbers on a balance sheet. When your private lender decides to loan you the money, you can then work out the terms of the financing agreement. You and the private lending institution can decide on terms that are mutually beneficial. Because private lending is equity-based or asset-based, instead of credit-based, you do not have to meet the same criteria as you would with conventional loans. Private lending groups do not care so much about your income-to-debt ratio and credit worthiness as a bank or other traditional lender would. Loans from banks are more one-sided than loans from private lending groups. This is because banks are required by law to follow heavy government regulations. Private lending groups are not restricted by all the same regulations. You can negotiate the terms of your loan. Often times the total interest on the entire private loan term are “rolled” into the loan amount and paid in advance at closing. This is great for investors because this means the borrower (investor) will not have to worry about making a periodical mortgage payment for most, if not all of the loan term. Another great benefit to having private lenders available is that you never miss out on a good deal. Because you’ve already exchanged information with your private lender, you have a solid source of quick capital. You no longer have to worry about how you’re going to pay for your real estate or business costs in time. You can instead focus on your goals. Another big advantage to using private lending is a faster closing time. Private loans can be closed faster than loans from banks; in fact loans from private lenders will close in as little as 2 business days! Private lending can be used to finance just about any type of property or business. You can take advantage of private lending to finance anything from undeveloped land, to large commercial properties, single family homes to business cashflow. Private borrowing can be a boon for your real estate investing business. Many investors have missed out on great deals because they couldn’t get financing from traditional lending institutions. Now that you know the distinct advantages that private lending offers, you no longer have to miss out on lucrative real estate deals. If you are short of funds and are looking for a quick and easy source of cash, you may want to consider short term finance. With short term finance, you can get loans which are payable within a time period of a few months to a few years. Short term financing is easy to obtain because it is designed for those who have difficulty finding regular loans because of a bad credit rating. Even if you have good credit, Australia’s banks are becoming increasingly selective when it comes to loaning out money. Even people with good credit sometimes use short term finance because it’s much easier to obtain. Australia’s central bank chairman Glenn Stevens announced on August 26, 2011 that the Reserve Bank of Australia will not be cutting interest rates as other central banks have. Interest rates in Australia remain high and loans are difficult to obtain for someone with less than perfect credit. What types of short term financing are available? There are several types of short term financing available. Some of the most popular are cavet loans, second mortgage loans and line of credits. Each of this short term finance options have different features and benefits so you have to know which short term finance option would meet your needs. In general, short term loans are asset-secured so they come with higher interest rates and repayment terms. There are financiers who offer short term finance online. When considering using short term finance to cover expenses, be sure to carefully examine the terms of the loan. When you find the conditions acceptable, you may submit an easy online application to see if you qualify. Finding the right lending institution is the hardest part of getting short term financing. But once you find a good short term finance provider, the application is easy to fill out and you should get a decision quickly. The lender will require you to provide information such as your personal details, details of the underlying asset security, how your proposed exit strategy. Once the short term finance provider verifies that all the information you gave them was accurate, the money you require will be made available. Short term finance done quickly! One of the nicest features of getting short term finance online is that you can have the funds transferred right to your bank account within 24 hours. Once your application for short term finance has been approved, your money will be available immediately. The process of getting short term finance is safe and hassle free. You can also use short term finance to build up your credit score. Short term finance is designed for fast and easy credit repair. By paying back the money borrowed, you increase your credit rating and become eligible for more loans. You will often get instant approval the next time you require short term finance and will be eligible for larger loan amounts as well. When developing your financial goals, whether they be personal or business, it’s obviously important to consider what may change in importance over time. However, it is also important to prioritise goals that are imminent in order to stay on top of things. Short term financing is a very useful way to help achieve your short term goals faster so you can continue to pool energy and finances into preparing for longer term goals. What is considered short term financing? What can be considered short term, and appropriate for short term financing? Two to four years, and with short term financing, you can include a much larger time span in the short term group. Of course, it would follow to place any goals after that time into the long term group. It’s common for long term goals to be harder to quantify, as well as require more money to be achieved, both things that short term financing can help make easier to do. An example would be your retirement fund, which should be able to completely fund the time of your retirement. It’s almost impossible to predict how long you will need it for, while at the same time compensating for other factors like inflation. In comparison, it’s obviously much easier to quantify what a short term goal will need, and secure short term financing for it. This is why short term financing can allow you to achieve short term objectives in order to be as prepared as possible for later goals. When planning for your long term goals, it’s always important to make sure you have the time to achieve them, as well as trying to break them up into smaller sub-goals to make the process clearer (things which may also benefit from short term financing on their own). Short term financing is an option that allows all the difficulties to come with long term planning to be that little less daunting, and ensures that you can reach your targets comfortably. Another classic example of a long term goal is buying property. Your mortgage rates are subject to your credit score. If you aren’t prepared with a decent credit score from unpaid debts, then your options are highly limited and mortgaging becomes less of an attractive idea. Short term financing takes the pressure off your immediate financial concerns, as letting them persist can result in a damaged credit score. It’s just another example of the benefits short term financing can bring to you not just in the short term, but in the long term. It’s important to remember that while short term financing can help you achieve short term goals easily, short term financing will also present valuable benefits for your long term plans, and impact positively on your financial outlook. Short term financing is one of our specialties, and you’ll be sure to get the best deal on the market from Easy Settle. In its Residential Property Prospects, 2011 to 2014 report, BIS Shrapnel predicts stable housing prices and moderate price increases over the next two years. This presents a golden opportunity for real estate investors to see high returns, that is, if they can get the financing. Private lenders help property investors get the financing they need in an increasingly tight credit market. Private lenders to play a pivotal role in the residential property market. Private lenders are set to play an important role in this predicted economic growth. Because the increasing restriction of capital by traditional banking institutions, private lenders are becoming more and more attractive to real estate investors. Smart investors will see Australia’s predicted economic growth as an opportunity to substantially increase their personal wealth. They will not allow an increasingly restrictive credit market to stop them from doing so and are taking advantage of the financing offered by private lenders. How do private lenders provide products to the marketplace? Private lenders do not rely on the Reserve Bank of Australia for capital. Instead, private lenders loan money from private individuals or organizations who want to invest their money. Because private lenders do not take money from Australia’s central bank, they are not subject to all regulation imposed by the government. Private lenders often have less strict requirements and less red tape than traditional banks, making it easier for investors to get the necessary capital. Because private lenders use equity based requirements for loans, rather than credit ratings, when a real estate investor finds a property they want to invest in, all they have to do is show their private lender that the property is a good deal, and the financing is virtually guaranteed. If you are a real estate investor or are interested in real estate investing, then you should consider talking to a private lender. Because private lenders are not as concerned with credit ratings as the banks, private lenders are perfect if you’re just getting started in real estate or have less than perfect credit. Don’t let a tight credit market prevent you from making a fortune in real estate over the next two years. Australia’s future economic growth will help many smart investors reach their financial goals. Talk to a private lender and see what options are available. You might find that private lenders are the perfect option for you. A common problem with businesses, especially startups and those in early to mid-stage development is the need for short term financing. These boosts can often be the defining factor in allowing a business to stabilise growth and be financially sound. Why receive short term financing from a private lender? Businesses that need short term financing usually need it fast, and with minimal headaches. For this reason, we provide short term financing solutions that allow your business to enjoy the benefits of a cash boost with as little hassle as possible. The approval process is fast and can be done over the phone in a heartbeat, as opposed to more unwieldy processes employed by banks and other large financial bodies, which is a common problem when seeking short term financing. What are examples of short term financing? Short term financing can come in many forms, depending on the particulars of your business, how much financing you need, and how short term you want it to be. You may choose to take a second mortgage for example, which is a common move by many businesses and property developers. The benefits of this short term financing solution include speed as well as a competative interest rate. It can be done quickly and efficiently, and immediately free up a lot of money for your business. Paying back the mortgage is designed to be tailoured to your needs, as we understand the importance of keeping the pressure off your business while it tries to achieve it’s goals. What can short term financing do for your business? Businesses in early to medium stages of growth including initial startups and small/medium enterprises often need capital to fund critical growth milestones. Alternatively, your business may simply need a short term financing boost to free up cash flow and allow internal processes to continue to run properly. When encountering these important situations, be it planned or unplanned, businesses often need to set short term milestones as well as secure short term financing to provide the needed growth. It is also highly preferable for your business to take up short term financing to keep as much pressure off your business’ finances as possible. Larger institutions such as banks take to long and are likely to impose restrictions on your business, which effects continued stability. For these reasons, we have a range of short term financing solutions for any type of business, as well as a range tailored specially for property investors and developers. This includes products such as second mortgages and caveat loans. This way, you can sit back and rest assured that your project or business can move forward with our short term financing support in a predictable and secure way. Easy Settle is a leading provider of short term financing for a good reason – we beat the banks and bigger players by giving your business something it needs in a short term. With our extensive network of private lenders and large range of options, we truly are the place to go for all your short term financing needs. Private lenders become more attractive as Australia’s bank oligopoly faces tough regulatory measures to drive competition. The dominance of the big banks in the Australian mortgage market has created recent cause for concern in the Australian political paradigm. Greens MP for Melbourne Adam Bandt has made it his mission to see increased competition between the big four Australian banks. His recently introduced parliamentary bill is just an example of recent attempts to make it easier for customers to switch accounts over to a bank which drives a better deal for consumers. What may not be clear to consumers is that private lenders have and always will offer a competitive deal on mortgages and other home loan products in one key area; flexibility. Bandt’s bill, like many of the other reforms tabled for the banking sector in the coming months, operates on the statistical assumption that consumers are less likely to shop around for better deals on financial or lending products when they feel administratively or financially locked into one institution. With the potential abolition of the administrative hassles associated with sourcing financial products from lenders other than the banks, consumers should feel more comfortable looking to the private mortgage market for their financial solutions. What makes private lenders an attractive alternative to traditional bank lenders? Unlike the big four banks, non-bank lenders often operate on a private finance model with a proven system of obtaining fast and effective financial solutions through a network of private lenders and other non-bank lenders. Many clients are seeking to refinance their home loans because of increases in their interest rate or just because of general frustration with the banks. Private lenders are investing for a number of different reasons. The private mortgage market is extremely competitive resulting in fantastic rates from private or non-bank lenders. Bank finance products have extremely tight restrictions and lending criteria. Finance from private lenders on the other hand can be extremely flexible. 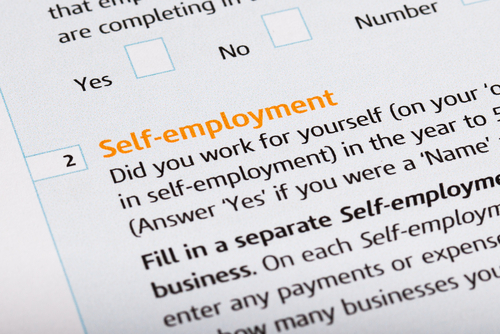 If you have bad credit history for example, you may be entirely ineligible for a bank loan. This doesn’t disqualify you from seeking finance for a private lender. Private lenders can act much faster than the big four banks. Often a private finance broker will have an online application process with a quick turnaround. Some can even provide a letter of conditional approval in a matter of hours. Dealing with individual private lenders can also be an administrative headache if you don’t have an experienced team to find you the best deal for your unique financial situation. In light of this reality, consumers need to ensure that they find someone who has experience, market knowledge and a good relationship with specialist solicitors who produce the agreements governing the private loan. An experienced team or broker that knows the market well and has systems setup to offer you a quick and easy turnaround will be the best choice for dealing with the private finance market.